Four years ago at Election Day, I was in Morocco; Marrakesh to be precise. The Moroccan people were very excited at the prospect of electing someone of African descent to the presidency, and they shouted their exuberance even more upon seeing a group of Americans on Wednesday after Obama's victory. (You can read my post from 2008 right here.) Fast forward to 2012, I figured some Moroccan food was in order on Election Day to bring some good luck to this tight race. A friend of mine is a cousin to Maria, as in Maria and Abdu Souktouri, who own and operate The Flying Carpet trailer. Through this connection, I have gotten to know them a bit, and have discovered they are some of the most genuinely nice people out there. They have always poured their heart and soul into everything they serve out of their little blue trailer. As Abdu was preparing our food in the trailer, Maria took us inside the house. Presently, it is not open to the public for dining. Maria said their goal is to create a little cafe with tea, coffee and pastries/cookies (she bakes!) and have a Moroccan lounge. They know the soul of their business is preparing food from their trailer, so they're not looking to move the whole operation into the house, which would require a huge amount of renovation to install a commercial kitchen. It's a nice open space, with some cozy couches in one corner, a couple tables, and another couch/lounge area in another corner. With the various pieces of Moroccan decor -- tajines, lanterns, this wooden tray, which I knew to be from the coastal area of Essouria, as we visited there -- they are creating a nice ambiance. The tea set is also something you see everywhere in the country -- you have sweetened mint tea at every meal, and if you are a special guest, the host will make an even bigger show of pouring you a glass! Oh yeah, and the food! I ordered a Big Abdu, which is seasoned ground beef kefta (shaped like a sausage, rather than a patty), eggplant, a fried egg (and fortunately for me, their fried eggs are more scrambled than fried), and French fries all inside a pita bread with their delicious l'Afrique sauce. I was starving, so I almost forgot to take a picture of the wrap. So yeah, not the best picture, but the food was tasty and a great mix of textures. Get extra sauce! And napkins! It's kind of a mess, but who cares? TFC doesn't have tajine dishes on their day to day menu, but special orders can be made in advance and they also offer private catering. 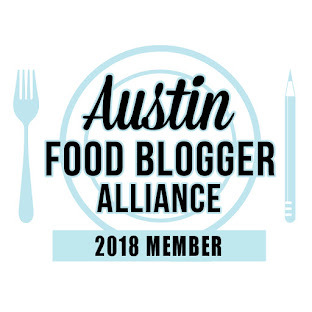 I was recently involved in a Facebook conversation regarding food trailers in South Austin, and someone commented that they had tried to go to TFC a couple times, but they had been closed. As I commented on that post, Maria and Abdu are a small, locally-owned business. Generally, it is just the two of them; only occasionally can they hire someone else to help out in the trailer. If one of them is sick or if they're doing a catering event, they can't open the trailer. But they are really good about posting on their Facebook page with status updates, so check there before going. 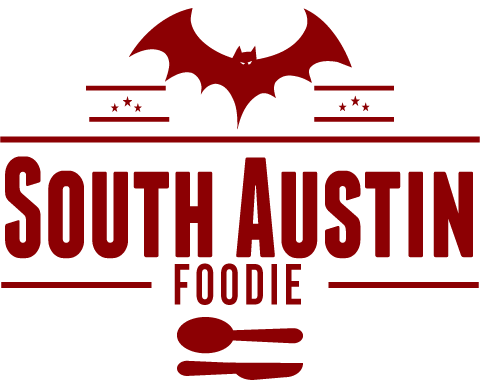 TFC was also recently recognized by the Austin Chronicle's Best of Austin Picks as Best Slow Food/Fast Food Hybrid! So after eating Moroccan food, I went home to watch the election results. Needless to say, Maria and Abdu's food, warmth, hard work, and genuine spirit brought the luck I was looking for.